Located just an hour and a half from Phuket's international airport Bangsak Merlin Resort is a contemporary, beachside retreat ideal for your next Thailand getaway. 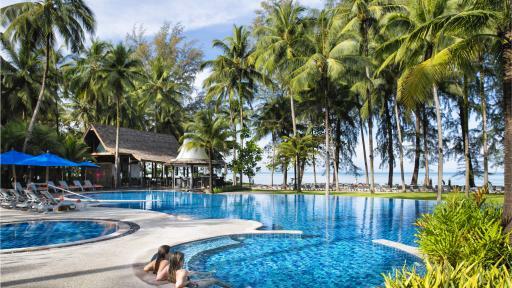 This Khao Lak accommodation offers a great range of rooms for couples and families, along with an array of resort facilities including restaurants, bars, day spa, swimming pools and kids play area. 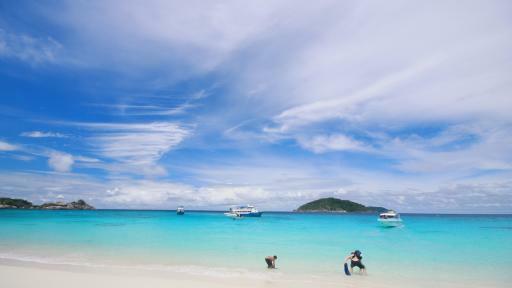 All this is set on a white sand beach overlooking the beautiful Andaman Sea. 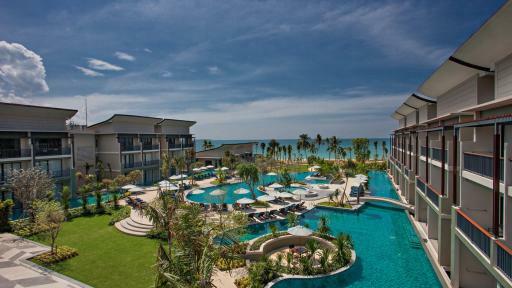 Centara Seaview Resort Khao Lak is a 4 star holiday resort located on the beautiful Nang Thong Beach. This Khao Lak accommodation offers an array of dining venues and resort facilities including day spa, kids club, swimming pools, tennis court, games room and more. 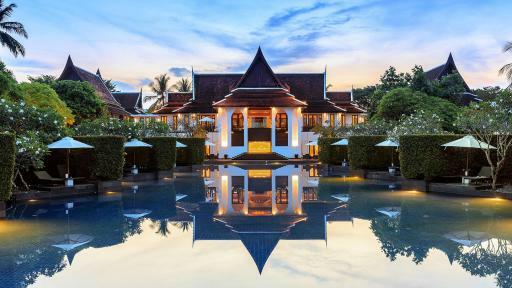 Featuring rooms, villas and residences for couples through to families, Centara Seaview Resort Khao Lak is a great destination for those looking to relax Thai-style. 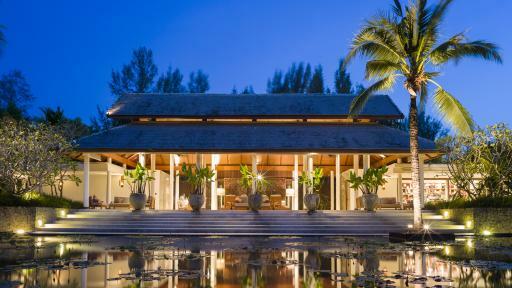 Explore Thailand from the luxury beachfront accommodation of JW Marriott Khao Lak Resort & Spa. Complete with a deluxe range of room types featuring spacious sitting areas and private balconies, the resort also offers an excellent variety of onsite leisure facilities. Positioned on the west coast of southern Thailand, Khaolak Laguna Resort is just an hours’ drive from Phuket International Airport. This Khao Lak accommodation is your own personal paradise with secluded beaches, amazing facilities and rooms and villas styled with an Oriental design, perfect for a couples getaway or family holiday. With direct access to 190 metres of Khao Lak Beach front, this resort is the perfect destination for those after seclusion and tranquility. Khaolak Merlin Resort offers a variety of facilities to ensure a comfortable and convenient stay. The resort is ideal for both couples and families who want to get away from busy cities. 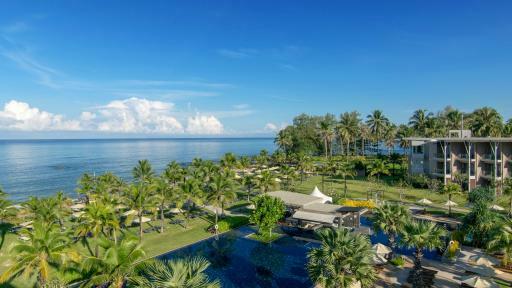 Just an hours' drive north from the airport in Phuket and you can be in paradise at the La Flora Resort & Spa, Khao Lak. The resort boasts a beachfront location and features a variety of facilities including a day spa, 2 swimming pools, a beachfront restaurant, wireless internet plus a range of non-motorised water sports and activities. Families and couples will feel right at home in one of the rooms, suites and villas that are offered. 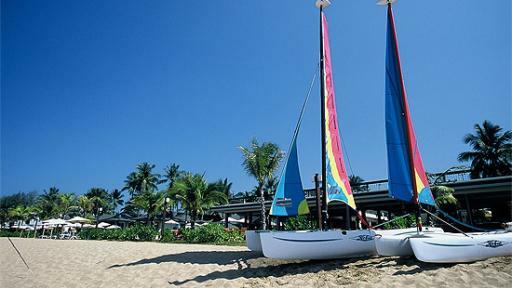 MANATHAI Khao Lak is located an hour's drive from Phuket Airport on the serene sandy shores of Bangsak Beach. Nestled amongst tropical gardens and featuring a blend of classic and modern Thai design and ambience, MANATHAI Khao Lak is an ideal choice for couples or families looking to get away from it all on their next Thailand holiday. 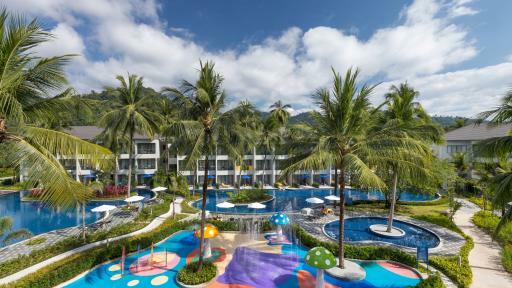 With a range of rooms and suites and fantastic resort facilities including restaurants, kids club and swimming pool, guests can experience a relaxing Phuket holiday in a secluded location away from the hustle and bustle of Patong. 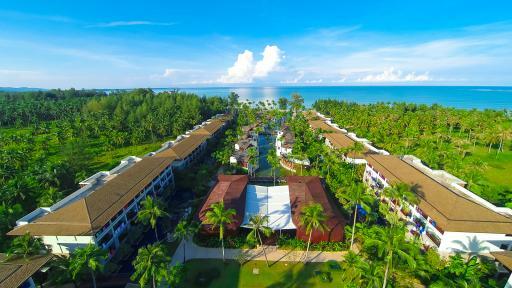 Sentido Graceland Khao Lak Resort & Spa is a luxury resort located in a superb beachfront location in Khao Lak, just north of Phuket in Thailand. The accommodating staff and outstanding resort facilities ensure a fully refreshing and relaxing stay. Stroll along the white sands beside the Andaman Sea, relax in the Day Spa or enjoy the sumptuous gastronomic delights from the great range of restaurants and bars. If you looking for peace, relaxation, adventure and love the sun then The Sands Khao Lak by Katathani is an ideal choice for you. This Khao Lak accommodation boasts a beachfront location that is close to the main hub of Khao Lak where you can find an array of restaurants and shops. The resort offers facilities and rooms that are perfect for both adults and children. The Sarojin, in Khao Lak, is a luxury residence located on the beach in Khao Lak and 80 km away from Phuket International airport. This is a great choice for a romantic stay and welcomes children 10 years and over. 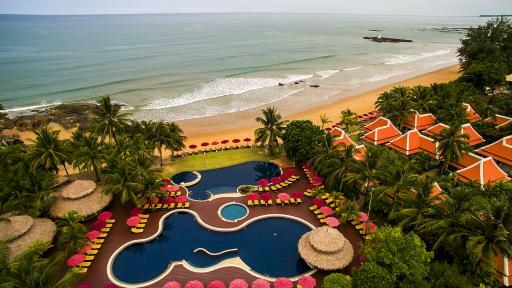 This beautiful boutique resort is located on the beach and is surrounded by gorgeous secluded gardens. This Khao Lak accommodation features extensive facilities including 5 swimming pools, kid's pools, water slides, kids club, day spa, fitness centre, restaurants & much more. Located on the beachfront & just one hour's drive from Phuket International Airport X10 Khaolak Resort is perfect for your next couples escape or memorable family holiday. Escape from the crowds & enjoy the golden sandy beach which X10 Khaolak Resort has direct access to.